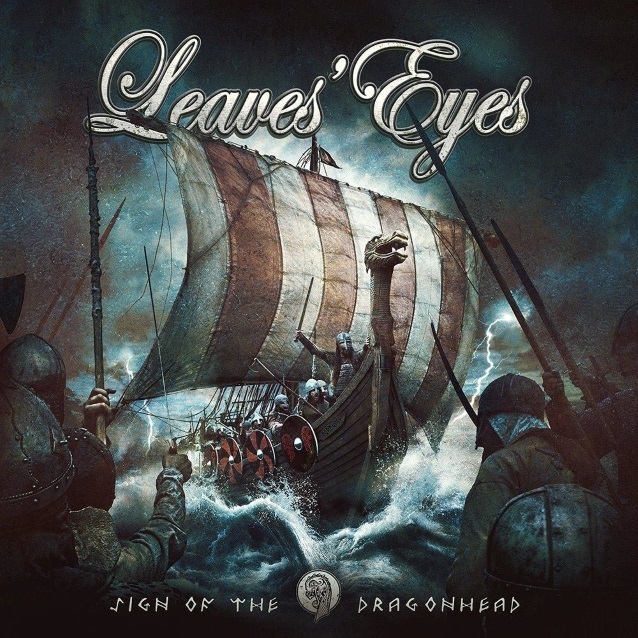 LEAVES’ EYES new album, “Sign Of The Dragonhead”, will be released on January 12 via AFM Records. Produced by Alexander Krull at Mastersound Studio, the disc features cover artwork by Stefan Heilemann (LINDEMANN, EPICA, KAMELOT). The official lyric video for the song “Jomsborg”, taken from “Sign Of The Dragonhead”, can be seen below. “Sign Of The Dragonhead” will be the first full LEAVES’ EYES album featuring singer Elina Siirala, who joined the band in early 2016 following an acrimonious split with the group’s original frontwoman, Liv Kristine. Liv was previously married to LEAVES’ EYES‘ co-vocalist Alexander Krull.